Cleansing yourself is very important in your development. As you know, most of us who goes to work, or who lives in the city, go to restaurants, use public transportation, interact with other people, will eventually pickup negative energies. It is beneficial to cleanse your chakra energy. The first step you should do is after you are settled in your home and away from public places or work, it is helpful of letting go of your negative emotions and thoughts. Remove your jewelry, watch, and other. You can do a little massage on your arms and shoulders and do some stretching. After that, the most common technique for cleansing as you already know is washing your hands, and taking a shower. You can also take a bath if it is possible. When you are finished washing yourself, wear some comfortable clothing. 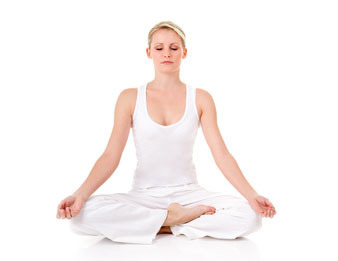 After that, find a quiet spot to sit down and meditate and make sure you have enough airflow flowing in. Make sure your posture is in a upright position. Ground yourself before you begin. Take a few slow, deep breaths down into your lower abdomen. Once you are settled, visualize a light running through your chakras to clean, energize and balance. You are trying to feel the light entering through your crown chakra and slowly move the light down, one by one until you reached the base chakra. If you feel you need to cleanse some impurities in certain chakra, concentrate on those points by visualizing light running through it before each meditation session. After the meditation, you can burn herbs, such as sage to cleanse your aura. Crown Chakra: You can stand under the sunlight, you can meditate, or make a prayer to the Divine. Third Eye: You can fill the mind with divine thoughts and prayer. Throat Chakra: You can use less toxic language. Always speak truths and repeat mantra. Make sure your words and action are authentic. Give thanks and blessing before you eat. Heart Chakra: You can take deep breaths. Forgive those who made you feel pain in some ways. Forgive the mistakes you have made, but don't forget to move on and learn from them. You should not cling to your grief. If your sorrow is recent, grieve fully. Solar Plexus: You can cleanse yourself by doing exercises such as yoga, running, or dancing. Purify your self image by releasing disempowering thoughts. You can release your anger by detaching yourself from it. Root Chakra: You can eat light foods and eat only when you are hungry and not out of emotions. Let go of bad habits and behavior patterns. Addictions suppress your spiritual growth by depleting or blocking the flow of your energy. They make your mind heavy and lethargic. They fill your mind with inertia and dejection. Obsessions tend to stimulate your mind to be distracted. They create false craving and restlessness in your mind. You may experience unreasonable desires, anger, greed, envy, and jealousy. Each addiction or obsession suppresses some form of emotional energy. You must overcome addictions and obsessions by freeing yourself from the need of that particular emotion. You can work with the energy of your chakras, which helps to release the negative emotions.